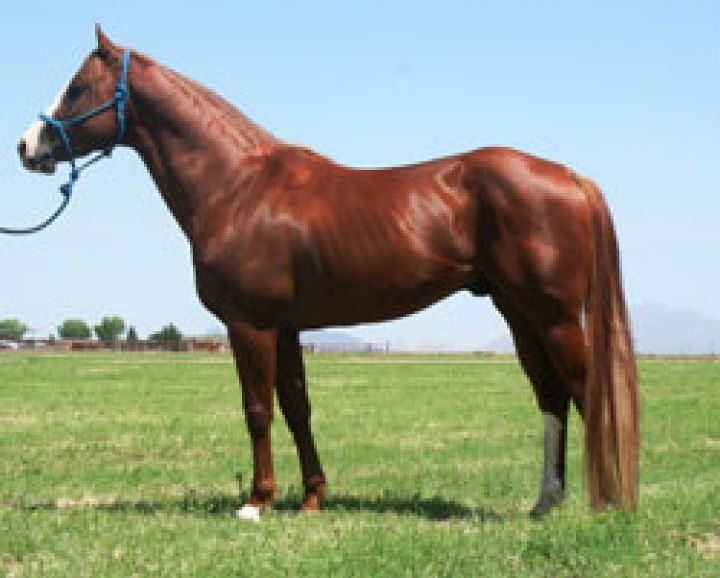 Alone Drifter's dam is a full sister to Sheri Cervi's barrel futurity winner and 2003 NFR backup horse, PC Gee Gee Frost, and PC Frosty Bid, Billy Etbauers leading barrel horse sire. This gorgeous copper sorrel aka "Lincoln" is just beginning his training. We have high hopes for him with his excellent bloodlines. He is a true gentleman with great manners and he is extremely kind. He is a beautiful mover.